With over 20 million people in its extended metropolitan area, Shanghai is China’s most populated city. 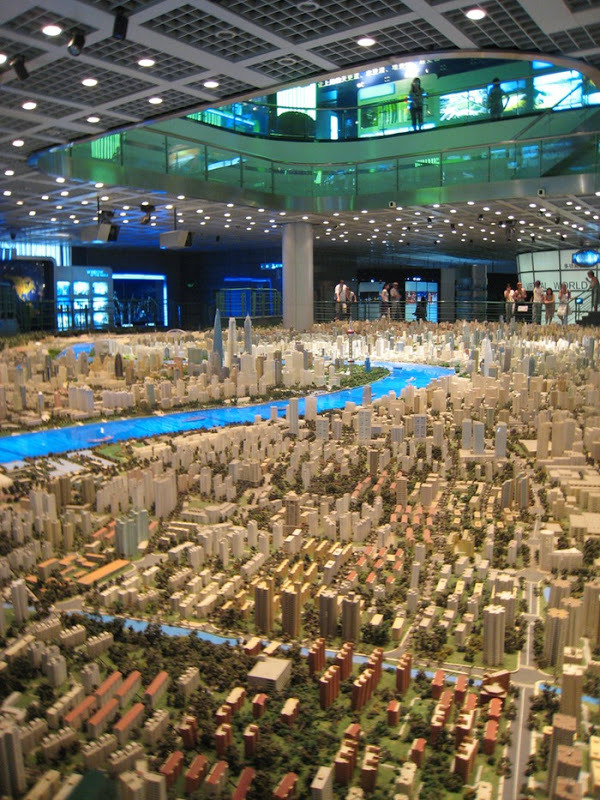 With an area of nearly 5,300 km² (2,046 sq mi), it is also one of the world’s largest urban areas – and it’s growing fast. 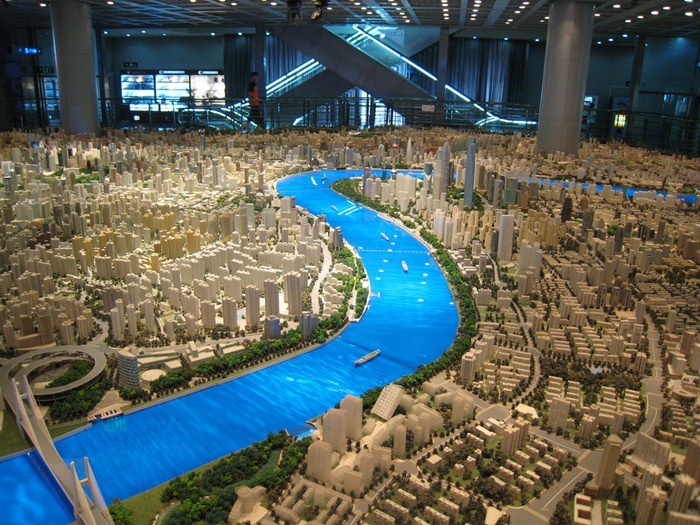 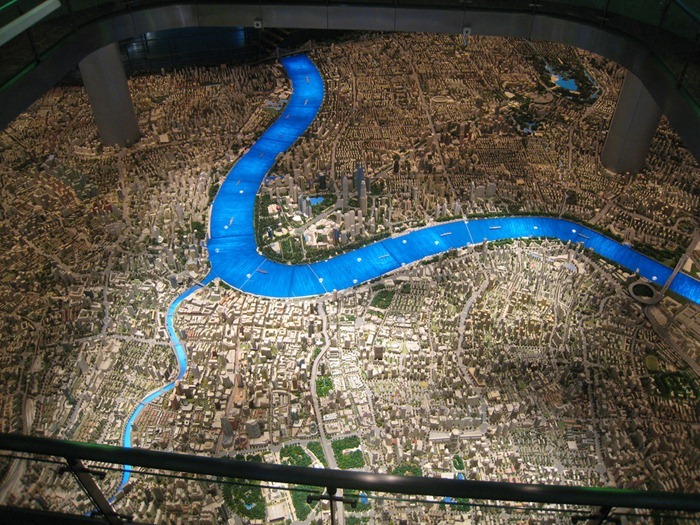 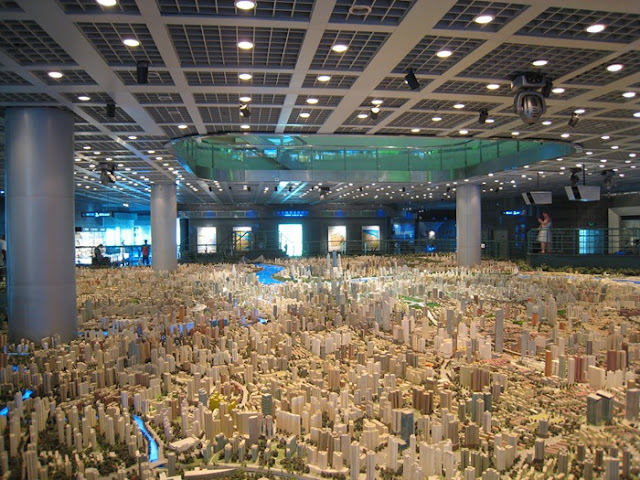 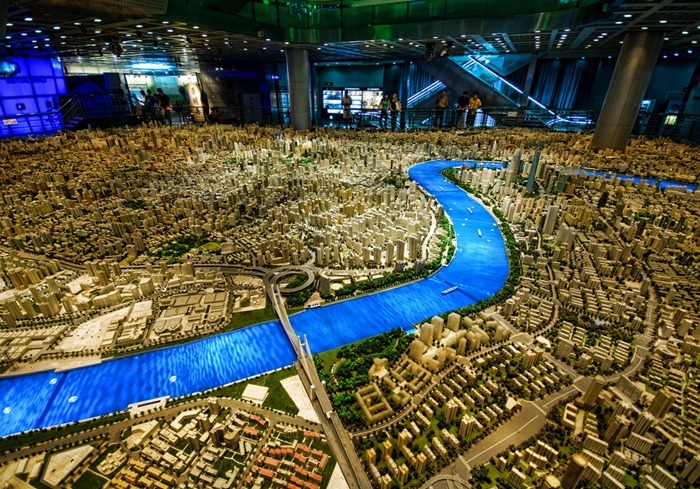 On the third floor of the Shanghai Urban Planning Museum, there is what probably is the world’s largest scale model of a city. The room-sized model of central Shanghai in 2020, as envisioned by the urban planners, fills an area larger than 100 square meters.